Renowned as the "Master of Suspense", Alfred Hitchcock is one of the most popular directors of the 20th century. Over the course of more than 50 feature films and numerous other projects, Hitchcock is often seen to have revolutionized the suspense thiller genre and pushed the psychological thriller to its limits. This encyclopedia covers the director's career, and examines films such as "Vertigo", "The Birds" and "Psycho". Over 1200 entries explore each of Hitchcock's films in detail, his television directing efforts, key members of his casts and crew and inspirations for his films. Also covered are the various sudios and production companies with which Hitchcock worked, major schools of critical thought with regard to his films and recurring themes and motifs that defined his signature style. 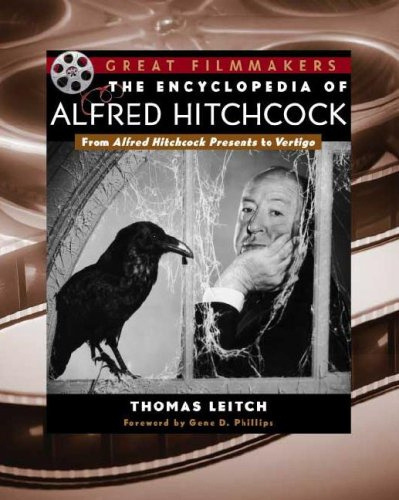 Hitchcock Annual (2002) - Book Reviews: "The Encyclopedia of Alfred Hitchcock: From 'Alfred Hitchcock Presents' to 'Vertigo'"
Cineaste (2003) - Can Hitchcock Be Saved from Hitchcock Studies?